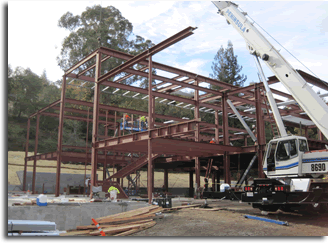 C&H has extensive experience with the design-build project delivery process. We have successfully worked on small to medium scale commercial and residential projects led by ourselves, the contractor or the project architect. Communication with all parties throughout the fast pace construction schedule is the true key to success. Through our experience, expedient analysis and detailing, excellent data management, continuous site inspection and field reports we can provide an invaluable service to a tight deadline or constricted budget.